In just a few short months, 2017 will be upon us and with it; new trends will dominate the digital landscape. Let’s take a look what they are and how you can benefit from them. Is Thailand Ready for Instagram? Let’s begin with this basic question like what do you know about Instagram? An app for high definition photos? For teenagers who love selfie? No! Instagram is not an app just for showing off. It is a place people can look for inspiration and creativity through visual language. People can get connected around the globe and how we communicate is simple! Just capture and share. Instagram was born in 2010. He is a baby with lovable charisma as he gains warm welcome from the earth just like when we embrace Facebook. It is notable that Facebook is already 12 years old in 2015, but some online marketers fortune that the little Instagram will seize the social media throne one day. Whether they are friends or frenemies, it is note-worthy for us to prepare for Instagram. At Syndacast, we feature a colorful spectrum of individuals from across the nation and international borders to be a part of our growing community. Everybody at Syndacast is unique and excels in what they do best. We possess a handful of talented digital marketers, programmers, graphic designers, sales, client services personnel, and knowledgeable online marketing gurus. 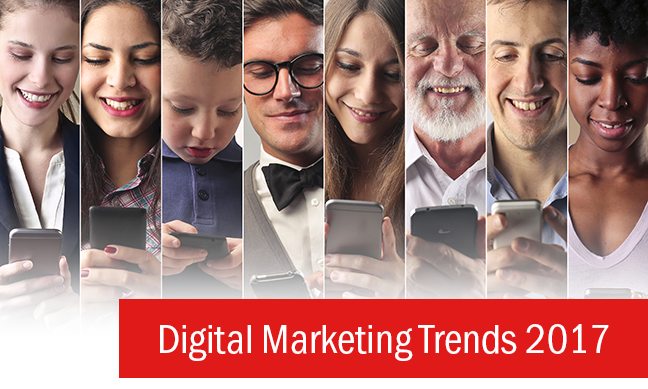 Our digital family continues to expand, welcoming newcomers into the realm of online marketing. Our newest addition to Syndacast’s Content and Optimization Team is Panadda Roongruangratanakul (Namtan). Being new to the digital forefront, we asked Namtan about what is the importance of social media, why she uses it and offers insightful predictions on what’s next on the social media front in Thailand. While 2014 marked an important milestone when mobile internet browsing exceeded desktop, 2015 marks the time when social media referral overtakes search engine referrals (i.e. Facebook and Google). Did you notice that recent social media news goes along the lines of “Facebook launches friend-to-friend payment!” or “Instagram is adding a buy button!” After years of hearing bits of news here and there, perhaps the era of Social Commerce is really happening this coming 2016! A landing page is all about a clean website and presenting itself on a professional (or semi-professional) levels. There are many types of landing pages around and they all share the same concept: All landing pages are designed to help the user find what they’re looking without going out of their way to do so. These pages are based on intricate (but not messy) coding and intuitive design. Optimizing Color: Color is more than just pretty shades and hues mashed together. Many websites conduct color-based research to determine what colors appeal to men and women. By understanding the psychology of color for business, brands have designed their websites in order to tap into their consumer’s color preferences and to keep them interested. Determine what types of colors clash or contrast each other. 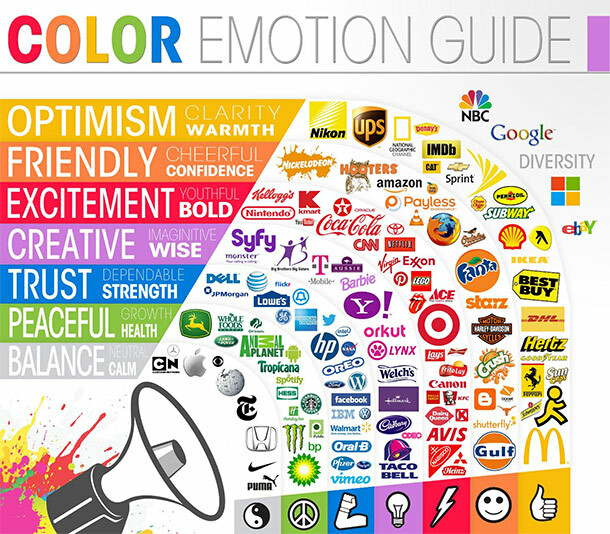 Color evokes all sorts of emotions, depending on the type of service or product it will offer. Blue, for example is the color of truth, honesty and strength. The two biggest social media giants (Facebook and Twitter) use blue to represent their brand. Do you think it’s a coincidence? Certainly not! Remove Distractions: It’s all about minimalism nowadays. That means, keeping it simple and clean. A website with too many distractions is bound to have high bounce rates. Elements such as flash banners and unnecessary gifs devalue the credibility of your website. Best practice is to remove all types of distractions so your audience’s eyes can fluently travel across your page easily. One Call to Action Button: Sometimes there’s an element of overdoing it. Sure, you would like to sell your product but having too many ‘Buy Now’ buttons can scare away potential customers. It’s recommended to have only one CTA button on a single page. Like color, the CTA button must stand out from the rest of the website. For example, a dark-themed website may include a bright CTA buttons: Red, orange, green or blue but certainly not white or grey. Your CTA button should also be supported by relevant content as well… Or in some cases, arrows to guide your audience where to click! E-Commerce: Avoid causing a headache to your audience by omitting registration steps when adding products to cart or checking out. Make check-outs as simple as possible. Content Matters: Although your landing page needs to be visually appealing, the content that goes with it needs to be equally relevant. Avoid duplicate content, low-quality content and be clear on what your website is about. For example, if your website is about selling cakes, don’t introduce topics that aren’t relevant to your niche. Sure, you can extend into posting about baking utensils and equipment, frosting techniques but certainly not about how to gain 20 pounds in a week! Keep it your content relevant and fresh. Best practice? Update often but not too, too often. No More Messy Codes: It’s a real pain when trying to code according to the proposed design. Keep the coding clean and structured. With the introduction of HTML5 and its smart tools, coding has evolved to become much more simplistic. If you need help with designing a website, why not try out WordPress’s premium themes? Many of the themes are minimalist in style and color. Plus, many designs nowadays are responsive so you don’t have to worry about your website appearing distorted on mobile phones or tablets. Sharing is Caring: In the expansive world of the internet, word travels fast thanks to social media. It’s a good practice to integrate social media buttons onto your landing page so you can share it. Your social sharing buttons should be located above the fold or at the bottom of posts. Trust: A website is all about trust between your brand and the potential customer. Create a sense of trust by including testimonials, success stories or even trust badges on your landing page. Avoid cluttering your page with certification stamps and add a couple of stamps at the top of your page and several stamps at the bottom. Websites with authentic privacy certification stamps or testimonials from credible websites allow the audience to feel safe and secure. In conclusion, the advised tips are aimed to help you create a smart, flexible and credible landing page that can minimize bounce rates and boost your website’s conversion rates. If you’re unsure of what works and what doesn’t, consider implementing A/B testing tools to determine what design ‘rings’ well with your customers. It’s all about trial and error but once you get the hang of it, your landing page would be in fact, converting nicely for years to come! Facebook continues to be in the lead at 1.5 billion active monthly users. Google+ is in 2nd place and rapidly catching up at 343 million active monthly users. Google+ is not just another social media. Think demographic and location data. The platform is a player in the grander scheme of things, especially SEO. Visual content is quickly becoming a critical content strategy and social networking sites like Pinterest and Instagram are becoming an integral part of retailers’ marketing strategies. Micro-videos are on the rise! Instagram allows 3-15 seconds videos and Vine allows 6 seconds videos. Real time sharing of micro-video is the next big movement in social media. With almost all social media website now offering location services, 2014 sees foursquare struggling. MySpace now offers an iPhone app and is on track for growth. LinkedIn has 238 million users and is positioning itself as more than just a social networking website but a large source for content creation and curation for professionals. 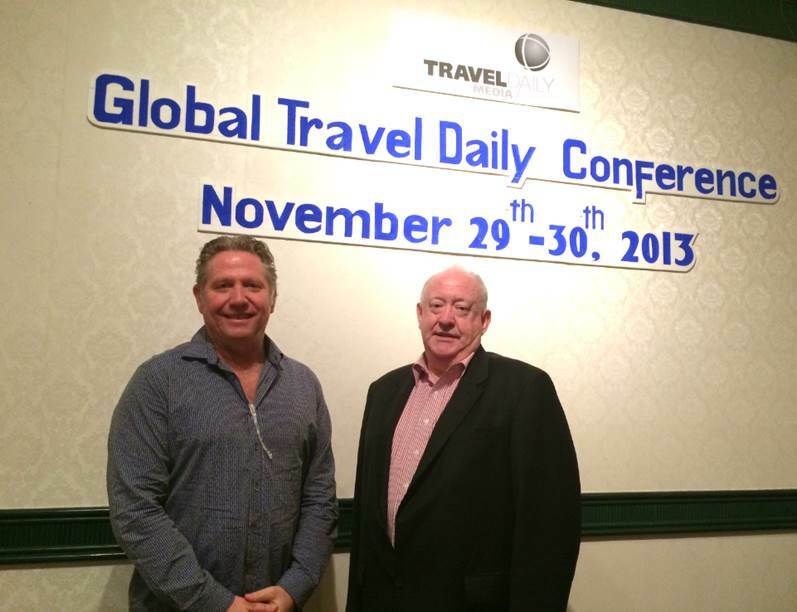 Travel Daily Media is a renowned website among businesses in the travel and tourism industry. The website (traveldailymedia.com) offers visitors with the latest global news, travel-related information, updates, events as well as travel offers. In addition to recent events around the world, the website features special reports and review of hotels, airlines and cruises. The group founded in 2006 by Gary Marshall, has over the years, exponentially gained the interest of hoteliers and many other businesses in the travel and tourism industry. Today, it is a dominant force in the international online travel trade news coverage, reaching global audiences in across twenty countries. Besides news coverage, the website offers readers with a multitude of travel-related content including: Digital publications (eMagazines) for selected regions, along with editorial pieces that touch on local controversies, such as the recent piece on Bangkok’s political unrest are also featured on the website’s blog area. 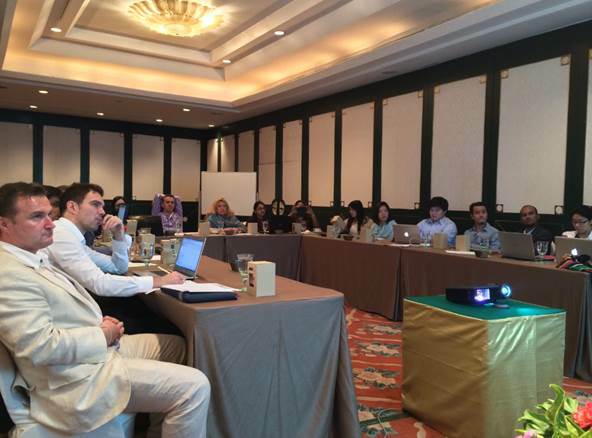 Syndacast, one of the fastest growing, performance-driven digital marketing firms in Asia with a strong focus in the travel industry, joins Travel Daily Media’s yearly seminar in November 2013 as guest speakers. Anthony G. Preece, Strategy Director at Syndacast, shares his insights on the digital scene, including the ‘era of big data’ and the revolution in Digital Media Planning and Buying, in respect to Demand Side Platforms and Data Management Platforms. While the company’s Content and Optimization Director, Monlamai Vichienwanitchkul shares information on responsive web design and the changing SEO (Search Engine Optimization) landscape, referring to topics such as content marketing and Google’s hummingbird algorithm. Recent studies on online activities related to the travel industry suggest that digital channels such as online reviews and hoteliers presence on social media is an essential business factor and will only grow in importance. For instance, it is said that more than 40% of online traffic related to travel queries now comes from mobile devices, including tablets, confirming the important shift taking place from desktop to non-desktop devices (Source: HeBS Digital), 44% of travelers use their smartphone to research travel while they’re traveling (Source: JiWire Report), typical travel shopper will visit 22 websites in “multiple shopping sessions” before booking a trip (Source: Atmosphere Research Group), and 65% of leisure travelers begin researching online before they have decided where or how to travel (Source: Ipsos MediaCT). Doing business has drastically changed these past few years. It is no longer about making sure you have an online presence for your business; that is a given. Try doing a mental list of your competitors; do they have some sort of website running? More than likely the answer is yes. Having a website for your business is not an option anymore but a must. It’s because the world has turned digital, and your market and consumers along with it. So if simply having a website no longer makes the cut what does? Running banners? Adwords? Doing SEO? Why yes, of course, but there’s more to it now. – Global smartphone users will reach 2 billion by 2015. – Across all industries, mobile internet traffic is increasing at a rate of 3.5% per month. – Tablet users access search 73.9% of the time. More than any other devices. – Mobile share of internet traffic increased by 25% this year. – Out of 4 billion mobiles in use, 1.08 billion are smartphones. – Mobile web traffic share has increased from 5.42% in Q1 2012 to 10.44% in Q1 2013. – Tablet web traffic share has increased from 5.93% in Q1 @012 to 10.58% in Q1 2013. – The fastest growing Facebook and Google Plus demographics are users between 55 to 64 years old (56% in Google Plus and 46% in Facebook). – Other social media networks such as LinkedIn has over 200 million users. – Every 2 seconds, a new member joins LinkedIn. 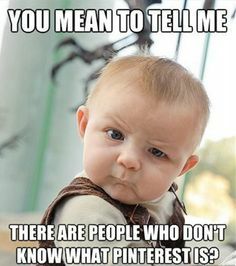 – Pinterest has over 50 million users. – 40 million photos are uploaded to Instagram daily. – In Q1 2013, Facebook sees 665 million active users daily. – 80% of users prefer to connect with brands on Facebook. – 23% of Facebook users check their account at least 5 times every day. 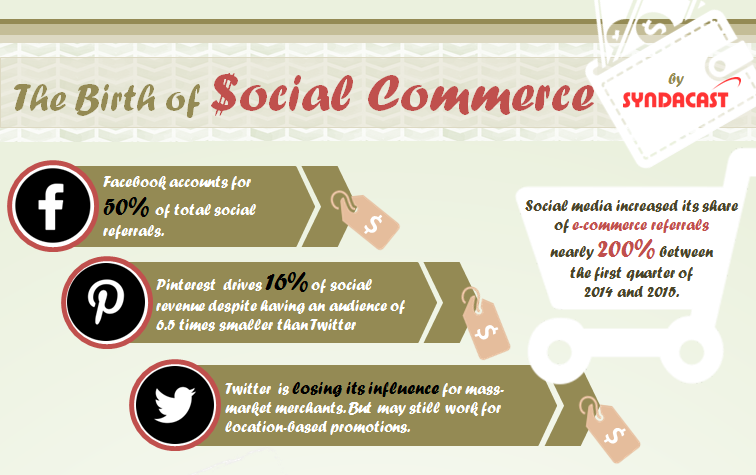 – Twitter sees a 44% growth rate form 2012 – 2013. – There are over 288 million active twitter users daily. – YouTube has over 6 billion hours of video watched per month. – There are over 1 billion unique monthly visitors to YouTube. – Google Plus has over 359 million monthly active users. – 33% of active users have grown between 2012 – 2013 on Google Plus. 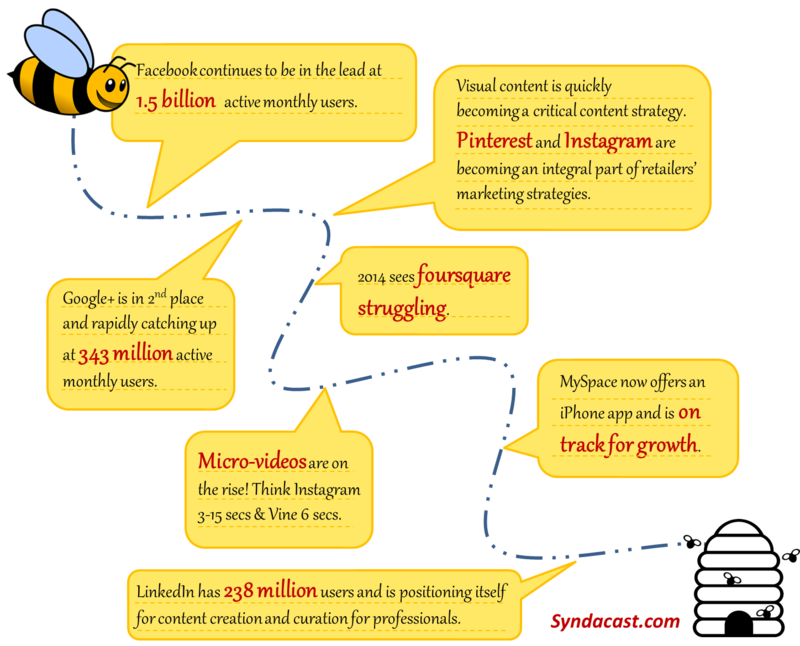 – Content is the top reason why people follow social media. – 68% of consumers spend time reading content from brands they’re interested in. – 37% of marketers claim blogging is the most valuable type of content marketing. – Companies with over 10,000 employees use 18 different content marketing tactics. – Articles with images get 94% more views. – 62% of marketers blog or plan to blog in 2013. – Blogs give websites 434% more indexed pages and 97% more indexed links. – B2B companies that blog generates 97% more leads per month. – 91% of B2B marketers use content marketing. – 86% of B2C marketers use content marketing.